92 Hulbert Ave “The Bug-Lights”: Ernestine Gilbreth Carey & Frank B. Gilbreth, Jr. The twin lighthouses that dot the extension of Hulbert Ave are officially called the Nantucket Cliff Beacons but more often called the bug-lights (1838). 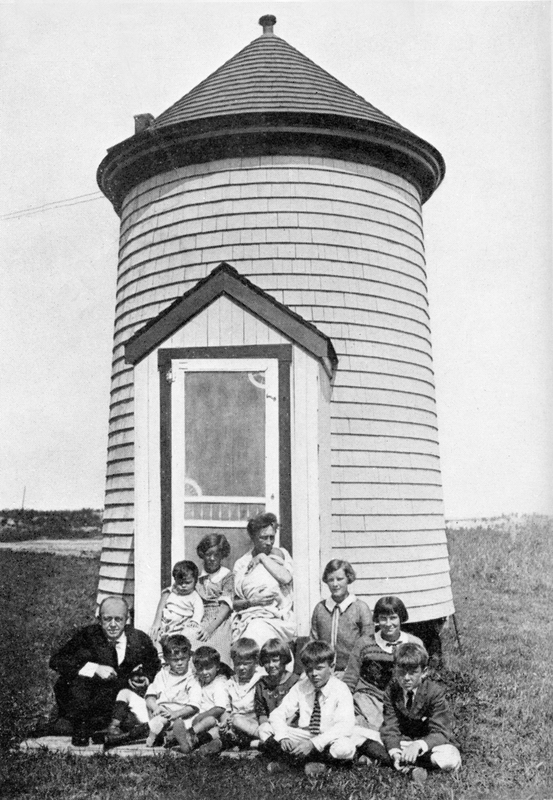 These structures were the unlikely summer home of industrial engineers and efficiency experts Frank B. Gilbreth, Sr., Dr. Lillian M. Gilbreth, and their 12 children. Originally located on Cliff Beach, the lights worked in conjunction with the range lights on Brant Point and buoys to guide vessels into the channel. 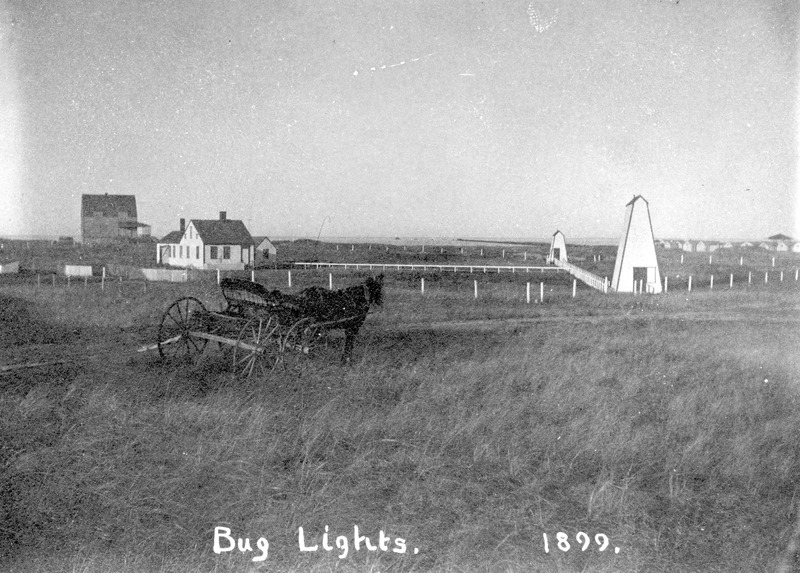 The bug lights were decommissioned in 1908. 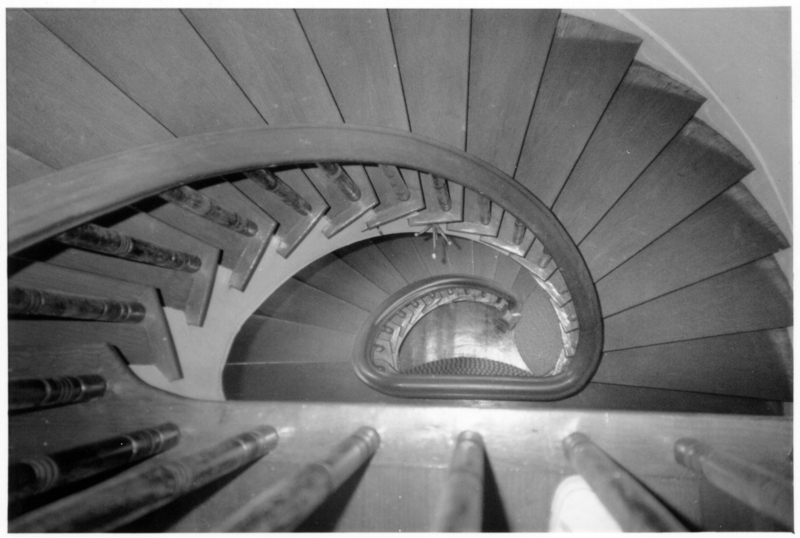 The Gilbreths purchased the property with the keeper’s toolhouse and the smaller light in 1921. By 1952, the keeper’s toolhouse was replaced with a larger cottage. The larger light tower was moved (by horse!) to the Gilbreth property. The towers were converted to dormitories for the many Gilbreth children. Frank Jr. and Ernestine wrote two books together chronicling their unique family, Cheaper by the Dozen and Belles on Their Toes. Frank Jr. authored other books inspired by his life on the island, including Innside Nantucket and Of Whales and Women. Ernestine wrote Jumping Jupiter and Rings Around Us. In 1991, Frank Jr. wrote “We have lovingly preserved [the bug lights], but I can’t overstress how well the structures were built and how amazingly sound they are today. In the seventy years we’ve had them, not a single shingle has needed to be replaced on the sides of either structure.” The bug lights and cottage are still in the Gilbreth family today.